Fall foliage is so gorgeous that I just had to figure out how to use it as decor. 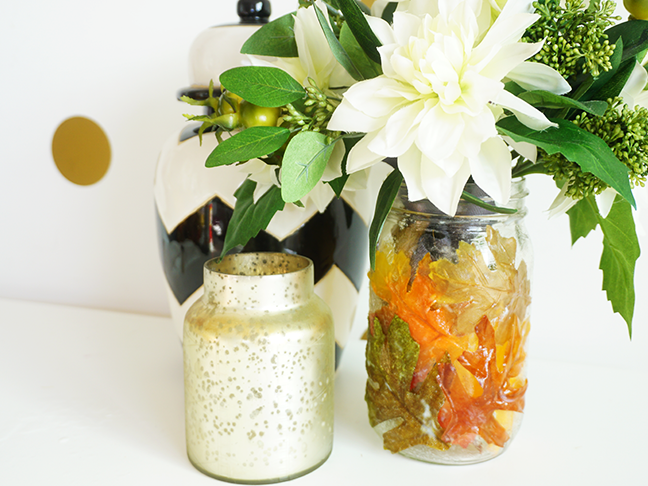 This DIY Mod Podge Mason jar vase is equal parts affordable, easy, and pretty! It cost less than $10 to put together since it only requires a few simple supplies that are super cheap. 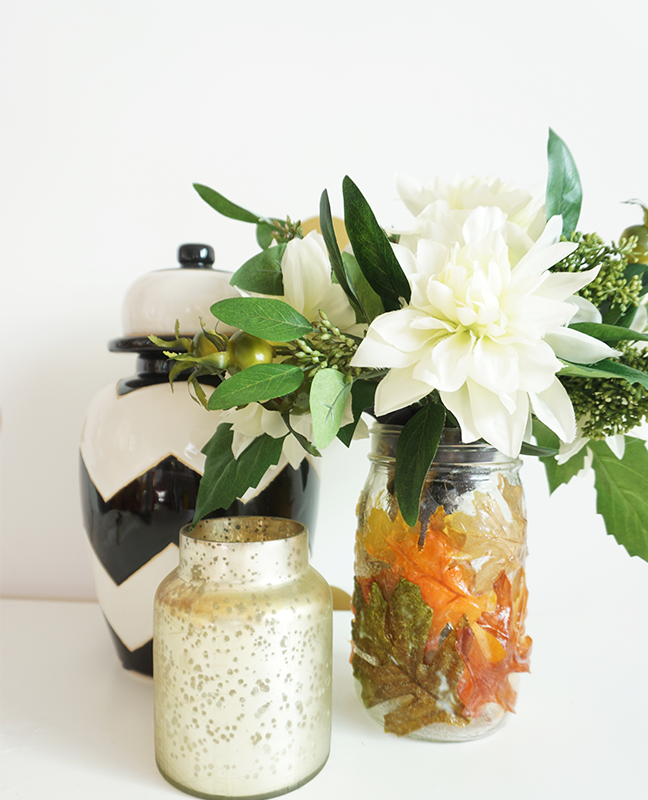 This DIY fall vase is so easy to put together that even your kids can help! Have them go out and collect fallen leaves to make this project even more cost effective. Step 1: Clean the outside of your mason jar. You can use rubbing alcohol to get any sticky residue off the surface. Step 2: Gather your leaves and make sure they are flexible. The leaves won’t stick if they are stiff. For real leaves, you can dampen them slightly. 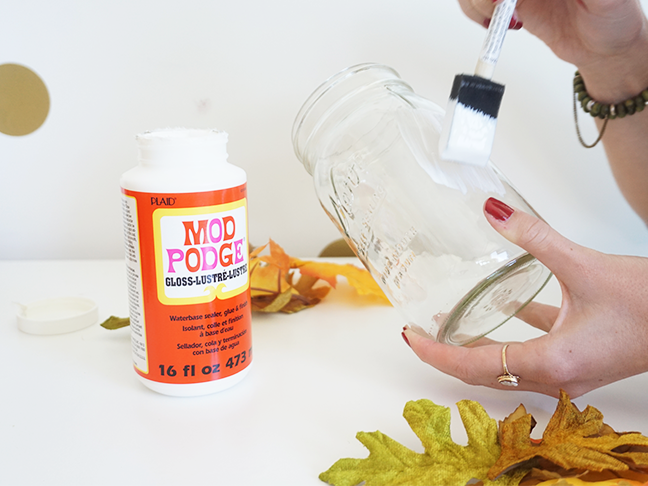 Step 3: Paint the Mod Podge onto a portion of the jar. 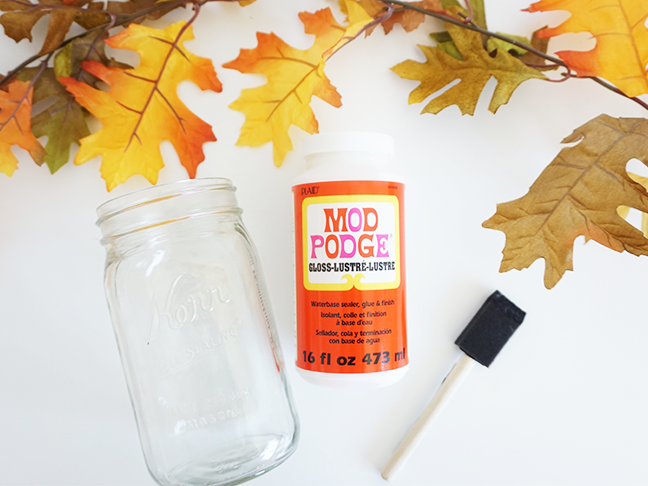 Let the Mod Podge get to a sticky consistency (it should be fairly tacky). 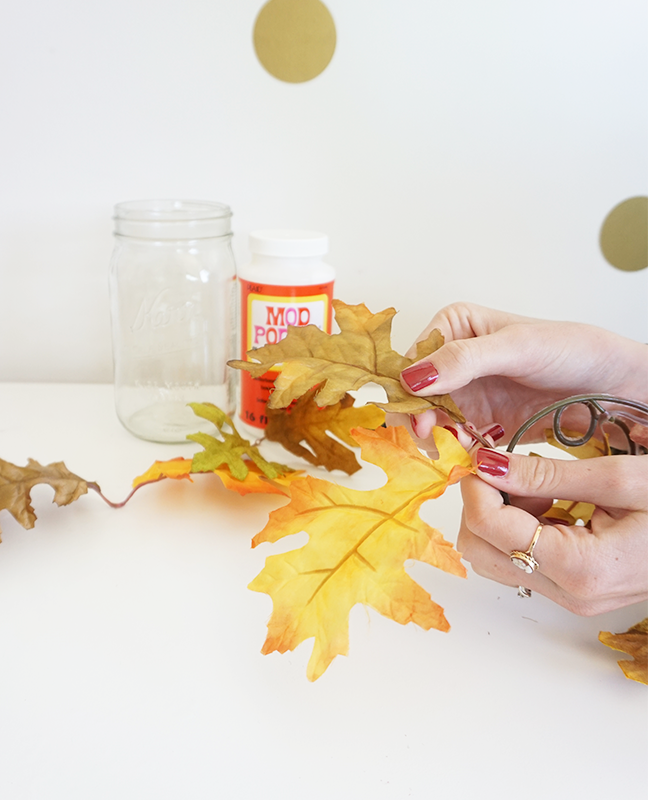 Step 4: Place the leaf on top of the Mod Podge. Step 5: Paint more Mod Podge on top of the placed leaf while smoothing out the edges. 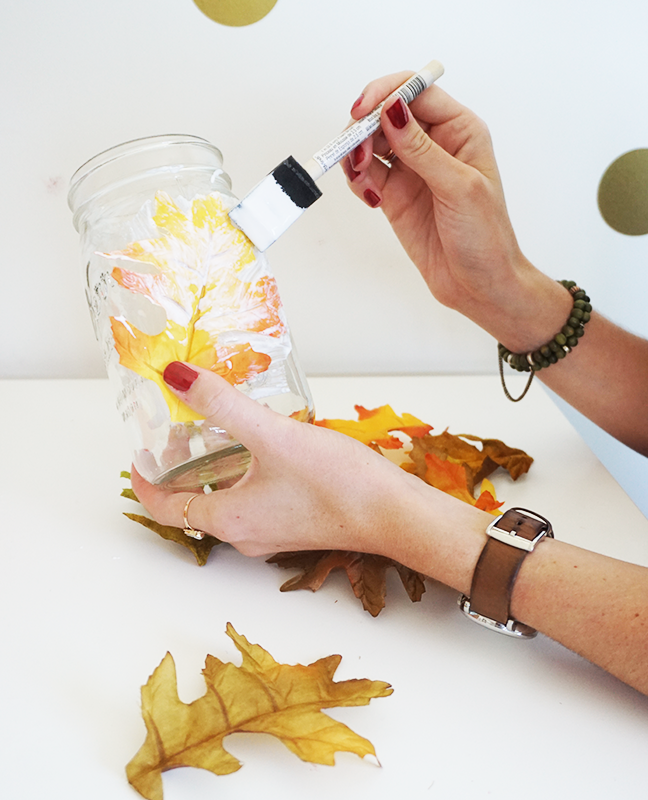 You can use your fingers to make sure the leaf is flat on the jar. 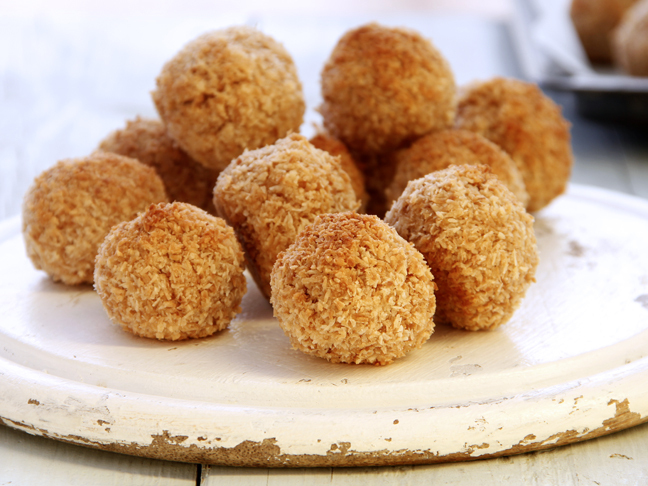 Step 6: Repeat steps 3–5 until the jar is covered to your desire. Step 7: Leave the jar to dry for several hours. Step 8: Place your favorite flowers, or even a small candle, inside the jar, and you have yourself the perfect fall decor piece!